Also got a new badge for turnip trading! There was a really good turnip price in Bywater so I sold a bunch of turnips there. Aww, we definitely will! ❤ After my last post, in which I broke the news that Melba would be leaving, I got to spend a last few days with her in Citàlune. I talked to her a lot, and she actually gave me the chance to revoke the decision to have her move every single day! 😮 But I decided it was the right time, and after all, she's not really leaving *me* for good since she’s merely moving to my other town, Bywater. So it wasn’t difficult to get her house plot in the general area, but for some reason it was terribly difficult for her plot to move just one or two spaces up or down, or to the left or right, onto the exact 3×3 spot I wanted. T_T It crossed my mind to accept one of these close-but-not-quite plots, but I was really hoping to get the exact plot placement I wanted because then Pango’s house would be aligned directly across from Gloria’s, and I thought their houses would look beautiful next to each other, having a similar style and color scheme. It’s also partly because it’s my favorite neighbor Melba who I was replacing, and the reason why I let Melba go was because of an unaligned house location…so replacing Melba’s unaligned house with yet another unaligned house would be very unsatisfying, you know? Or experimenting with flower arrangements! This one, as you can hopefully see, is shaped like a crescent moon, and I might try implementing something like it in the nook in the river in the center of town. If so, it would save me some PWP slots to use in other parts of town instead ^_^ Do you guys think it looks okay so far? Wheeeee 😀 Welcome at last, Pango! Okay, enough Pango stuff for now! It’s as though Paula grew more orange cosmos from the one I gave her for her birthday! 😛 It’s the first time a villager has sent me a hybrid, though I’ve heard of it happening for others. And I bought one of the last paintings I needed from Julian, a wistful painting! Was quite surprised it was 1) actually real for once, and 2) one I needed…what are the chances? xD I still have quite a few sculptures to go, though! It’s great to have his house off this path now (I keep expecting to run into his house when I’m running along it xP), but he’s left an ugly patch of grasswear that I hope will get cleaned up soon..
I’ve seen some players who have school-themed rooms or houses, and I don’t have one in my town… but I have Doc! 😛 He can be the town school-teacher, I guess. You know what this means, right…?? Sorry, I couldn’t resist xP But yeah! No more plot resetting (at least, not in my main town), no more house-repelling PWPs necessary (can build whatever I want! ), Fern can move out of her tent, and I can use all 40 pattern slots and have more storage! 😀 I’m veeery happy and excited and look forward to gradually sculpting my town more to my liking! The first PWP I demolished in this new era of Citàlune. 😛 Bunnie seemed to want to enjoy it for one last time. Fern’s last day in her tent ^_^ Decided to give her these eyes with the eyelashes on the bottom instead of the ones I was planning (the ones that look kind of sad/shy), to differentiate her from Rose in Bywater, who has those eyes. Fern will still have red hair and green eyes like I always planned, though! I got lots of new food items from various people (like Megan, someone on TBT, Marina,..), which I’ve either put out in Estel’s dining hall, or saved for later use. Multiple people also helped me out with the gold series pieces I wanted for Lyra’s sun shrine-esque entrance hall, and this is what I came up with for the furniture arrangement. For Estel’s entrance hall (supposed to be more moon-themed), I’ve added some things and made changes as well, but it’s still mostly similar to before. Now for the last bit of this long post, the “Bywater stuff”! I don’t think I’ll blog about Bywater much, but I thought I’d at least introduce it, now that Melba has moved there. My main criteria for choosing a town for Bywater was having this waterfall! I fell in love with it when I first saw it in Jasper’s town Windfall a long time ago, and I had to have a town with it xP And as you can see, I put the mayor’s house right above it. This is where I was planning to put her house, just one space away from the pond, and surrounded by fruit trees. One reason why I’m happy with this location (despite my original plan) is that it lines up exactly with the path going north from Rose’s house xD I’d love to put a rose arch or two over this path connecting our houses, if I ever get that PWP suggested! – for example, this Melba Toast, which is a thin crunchy toast, is why Melba’s catchphrase is “toasty”! Posted on July 16, 2014 by Amy •	This entry was posted in AC:NL, Bywater, Citalune and tagged Animal Crossing. Bookmark the permalink. 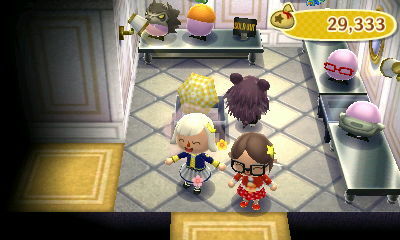 You have some super cool rooms like the sun shrine and entrance hall! I also like the ideas to give Melba sweets furniture and plant cherries and peaches around her house! If you’re free tomorrow we could wifi 🙂 if you’re busy though that’s ok.
Sure! 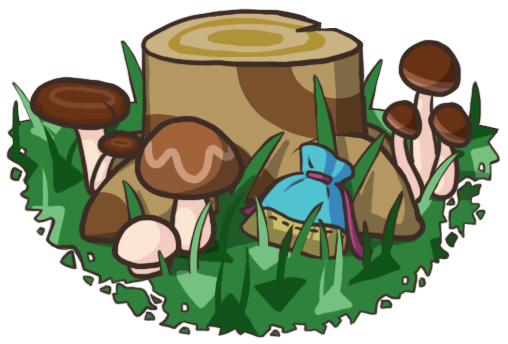 🙂 I can’t have any visitors to Citalune right now because I’ve been working hard on my rooms and have items strewn all over the place, but I could always visit your town again, if that’s okay ^^ And I could bring the golden screen. Feel free to let me know a time that works for you for the WiFi! great! I think you’re three hours ahead of me, so I’m good at around 1pm PST, if that’s ok with you. It is okay with me 🙂 See you then! Thanks, I’m glad you’re looking forward to it, I am too ^__^ Yeah, I really wasn’t expecting it to be that difficult, maybe a couple of days at most Glad it’s all settled now, though! I knew it would really bug me if I compromised for a slightly-off house location. I actually did that with Rod (wanted his house one space down from where it is) and it still bugs me a bit to this day, so..
Congrats! I can’t wait to see what Fern will end up doing 😛 Oh, and here’s a fun fact: Pango and I have the same birthday! 😆 You should also post more of Bywater if you get the chance! Yep, I tend to have lots of regular oaks on the south half (nighttime themed) of town, and I planted some more in the top half too in preparation for the festival ^_^ But I can definitely understand not wanting to go through all that replanting for just the 10 day festival; I’m already groaning at the thought of all the perfect apple planting I’ll have to do when the festival’s over. Aw, nice weather conditions. Its really nice to have a nice sunset or rainbow 🙂 wow, I love that food room. Its really nice. I agree, and I really love that there’s such a variety of weather/lighting conditions in this game 🙂 Thanks, glad you like it! Thanks! It would definitely be fun to use Bywater to show a different town aesthetic than the one I have in Citalune, and I’m planning on building all the permanent PWPs like the resetti center, cafe, police station and such there, so I get to at least experience them a bit, having not built any of them in Citalune. I plan for Bywater to be a pretty casual, regular ol’ town — nothing too fancy. Thinking of having a forest area in one part (the part where Melba and Rose live, actually, and I was thinking it could be a sort of ~rose forest~), and a more developed, town-like area near Re-Tail, where I’ll put the cafe and PWPs like benches and things. 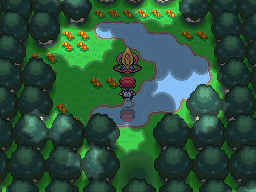 That’s about the extent of my plans right now xP Ooh, Veilstone City, that sounds really cool! 😀 Sinnoh region is my favorite, I love it ^_^ I’d be really interested to see how that turns out, and follow your progress! You should post about it on your blog when you’re ready 🙂 I’ve missed you and Ryann’s posts and our WiFis together, I admit! But I’m sure you two are quite busy. Ooh I’d love to visit Miagen again! Would you like any help with the furnishing of those houses, like do you still need some of those sets or pieces? That sounds like it will be a cool theme throughout your neighbors’ houses, btw! And I’m all caught up with the horoscope items now, but I do love the aquarius urn, thanks for the offer! 🙂 I can WiFi Sunday in the late afternoon (like after 3PM my time — NA EDT), if that works for you? But if that’s too short notice or doesn’t work we can figure something else out, of course. Hey, hey, hey, I see you’re on now 🙂 If you’ll be on a bit longer, I’ll open my gates in a bit and we can get together this evening? Sure, that’d be great 😀 See you soon! I have! ^-^ I’m keeping things relatively simple and it’s not like I’m putting every PWP in the game all over the place or anything (still have a lot of fairytale streetlights, for example), but it’s really nice to have things like streetlights in just the place I want them, not in a random place to repel houses. Nope, I haven’t updated my dream address, but that’s what I’ve been working towards lately, getting my town in order and fixing up the houses, PWPs, landscaping and gardening so that I can do an update during the cherry blossom festival soon 🙂 The moon flower pattern actually isn’t up yet, haha, flower-arranging is one of the last stages I go through xP I’m working on Fern’s house at the moment. Oooh what gorgeous new (though not really anymore… :P) springtime pics of Citàlune and interesting glimpses into Bywater! That moon flower arrangement looks really nice :o. Maybe when you use it in the river nook you could use more solid white and blue (or other colours) flowers like the carnations, roses and violets, but it already looks pretty cool and is a great idea for saving on PWPs. What an eventful second half of March with the weather events ^^ Lyra’s property looks stunning in the golden sunset and I looove the serene view of Reese and Cyrus’ pond with the rainbow. Thank you so much, it does feel really good! 😀 Now I just gotta make sure to keep ’em all there! Hahaha oh my goodness! xP Besides that being an interesting series of seemingly connected dialogs, I think I have additional meaning i can add to it! 😛 The reason why he was giving all that fruit is because I sent fruit to him in letters over and over when he lived in my town, attempting to boost my friendship with him so that he would move quicker. When they receive gifts like that that they can’t put in their house, they tend to have it saved in a sort of inventory, and then they’ll randomly give you stuff in their inventory during trades, gifts for errands, etc. So he was giving you fruit from Citalune x3 But it’s also pretty cute that your two deer Deirdre and Erik seem to be forming a connection already! ^^ I’ve mentioned before on my blog that Gloria and Rod continually reference each other over and over, in almost a sort of romantic way. Like Rod’s always giving Gloria presents and musing to me about how he’s going to talk to her or ask her to go on something that sounds like a date to me 😛 But I tend to forget to take pictures when these instances occur, or move past the dialog too quickly. Ahah, I’m glad that I wasn’t the only one who didn’t know about Melba’s food connections! I asked my parents and they knew what Melba toast was right away, so I felt silly for not knowing about it. That seaside cottage idea is interesting! For the inside of mine I was just going to make it a gloomy, stuffy house to match its owner with old furniture and creepy walls and floors 😛 That’s if I ever get around to it. Aww thanks so much, I really appreciate that! 🙂 It’s so nice of you to offer to keep your town on that date for me! x3 If I’d known I could’ve saved myself some time, I would’ve taken you up on your offer, but I TTed a bunch in Bywater when it looked like TBT couldn’t help me, and eventually the right wall popped up xP Thank you again though! 😀 Good luck as well with the house parts you’re seeking for your own cottage (if you still need them, that is)! Thanks so much! 😀 I’m glad it could inspire you! 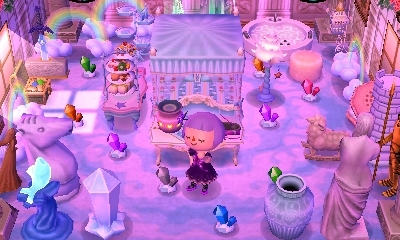 I have a lot of fun decorating my town, but that’s not the only fun to be had in AC:NL, so don’t feel bad if you’ve been appreciating your game a different way 🙂 And sure, that would be no problem! I have no shortage of afternoon tea sets, since I got four when they were DLC and since then have duped myself and others more 😛 What’s your FC? Mine is 3222-6062-4806 ^^ Then we can figure out a time to meet. And congrats on getting all of your dreamies! Doc is a real cutie. I love his house too! I want to design a character with a schoolhouse one day. Awww, thank you!! x3 It’s nice to hear you think Doc is a cutie, he’s actually not considered as such by many people xP It’s called the chalet exterior, yep! It reminds me of a tudor cottage, not really sure why it’s called chalet. Sure, that’d be great! 🙂 My FC is 3222-6062-4806, what about yours? ^^ The only problem is that my town’s very under construction right now (working towards a dream update atm), but I’d be happy to have you over when I’m done, or to visit your town in the meantime! Sure! 🙂 It’d be interesting to see how that turns out in NL! Can you post a qr code of your dirt path? Hello there! I’m resetting my old town, and I need some help. First, I was thinking about theme, which led me to 2 options- a cafe town, and a regal kind of moon-themed town like the Moonrise side of your town. I’m also worried about paths and landscaping and how that’s gonna work out… Either way, do you have any tips on making a town and landscaping/placing paths? Thank you so much!